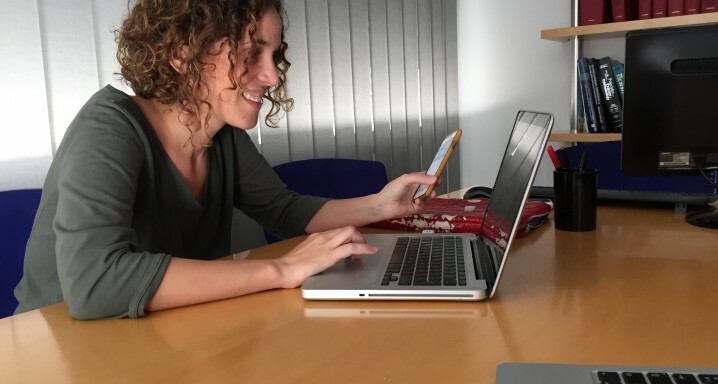 Dr Anna Sala took part last Thursday in a Twitter debate with the hashtag #TuiteaDiabetes5. Organised by the Spanish Diabetes Federation (FEDE), the event aimed to resolve internet users’ queries about the ophthalmic complications associated with the pathology. The conversation focused on the need for patients to be made aware of the importance of regular checks to monitor the possible complications caused by the disease. Dr Sala pointed to a recent survey that found that 7 out of every 10 diabetic patients do not know that the principal cause of blindness in the under-50s is diabetic macular oedema (DMO). She also reiterated that, in accordance with the results of the Diabetes Control and Complications Trial, the introduction of intensive blood sugar monitoring for the first five years of diagnosis (of diabetes) reduces the appearance of DMO by 23%. She also said that it is necessary to reinforce control of blood sugar, blood pressure, overweight and lipids. In addition, she stressed that early diagnosis, linked to good multidisciplinary monitoring, can often prevent the progression of diabetic retinopathy (DR). With regard to therapies, Dr Sala said that the new pharmacological options possess higher efficacy standards than when laser was the only way to treat the oedema. The hour-long debate highlighted the need for patients to receive precise information. The FEDE President, Antoni Lorenzo, called for a greater presence of nursing educators in primary health care and encouraged patients to «become actors and not spectators» to prevent complications of the disease.